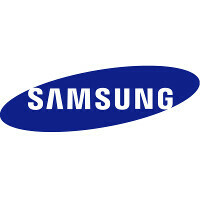 Roughly two weeks ago, we heard something about a new Samsung devices that is reportedly in the making right now. The device in question is the Samsung SM-E500F, which got caught on Zauba. We know nothing of its specs, yet the $757 price tag that it flaunted suggested that we might be dealing with a top-tier device. The interesting thing about this phone is that the "E" letter has been hardly used in any other Samsung offering, which means that we might be dealing with a completely new device family. The user agent of yet another Samsung device, seemingly belonging to the same device series, got spotted on Samsung's own website. Bearing the SM-E700H model moniker, it's mostly a mid-range device. We hardly expect any high-end specs on board - after all, the phone in question is packing "merely" a 720p display, reportedly 5.5 inches in size. What's more, it's endowed with a 32-bit chipset clocked in at 1.5GHz, a SoC that will perfectly fit a mid-ranger. The device will run Android 4.4.4 KitKat. Although Samsung will reduce its smartphone offerings for 2015 by 30% in comparison with 2014, this doesn't mean that it won't release a handful of new phones. The SM-E700H could easily be one of the mid-ranged ones, probably a less premium variation of the Alpha series. Another day! The next big thing is here... yaaaaaaaaawwwwnnnnnnnn! Even Samsung started naming its low end devices like S duos with an 'S'. Just like they have all the devices Galaxies. But wait!! Even I had S Advance and have S3 even those lag esp the S Advance. Why Samsung makes laggy ROMs is the question.